I am in a art journal swap with some other artists. 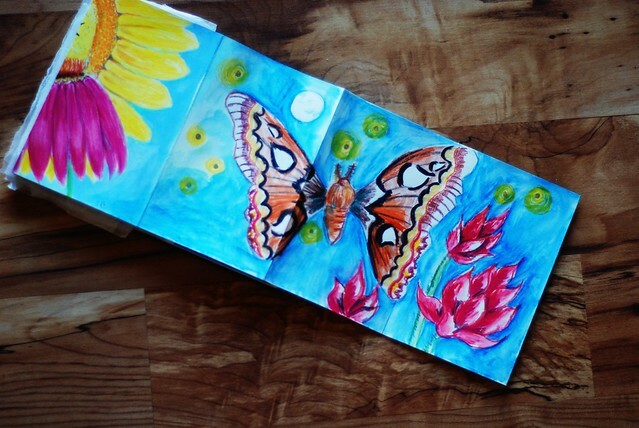 This art journal's theme was butterflys and flowers. I drew a Atlas Moth..close enough to a butterfly right?